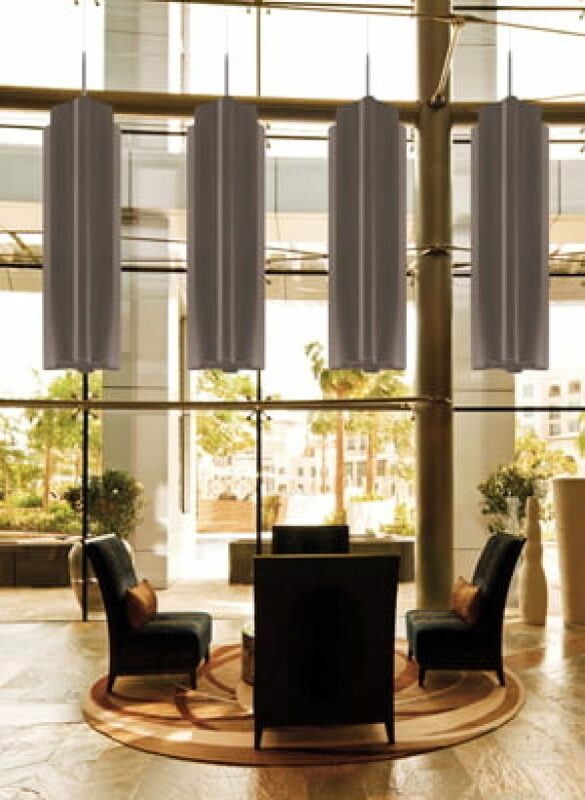 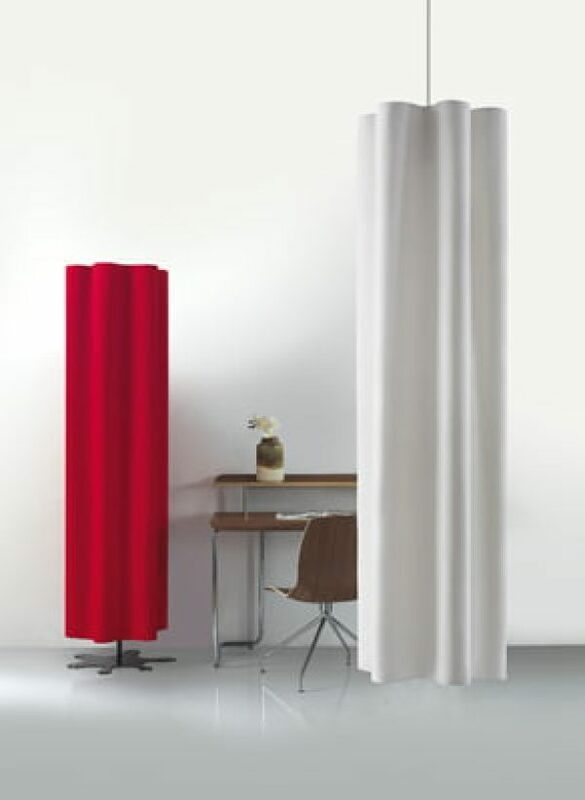 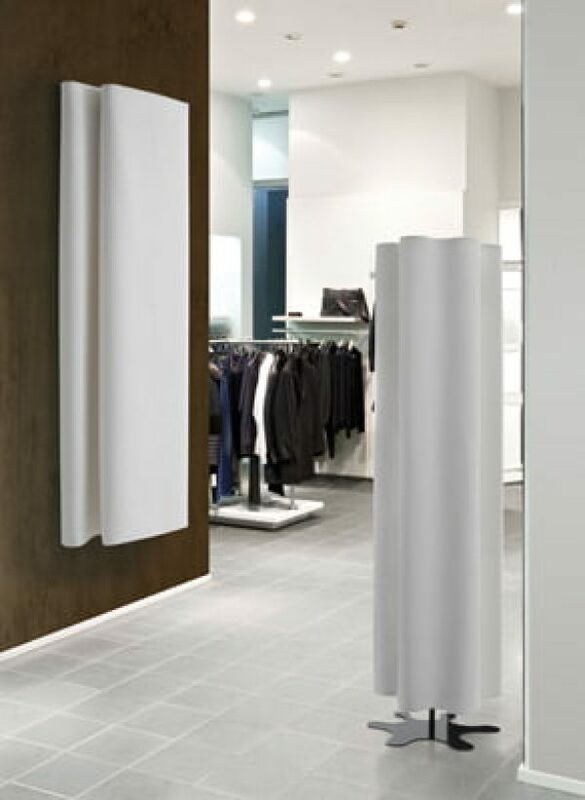 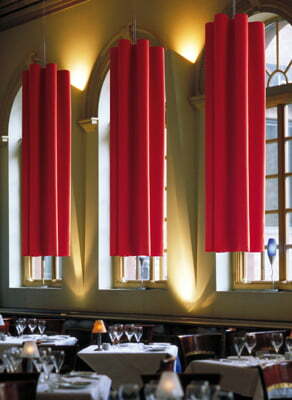 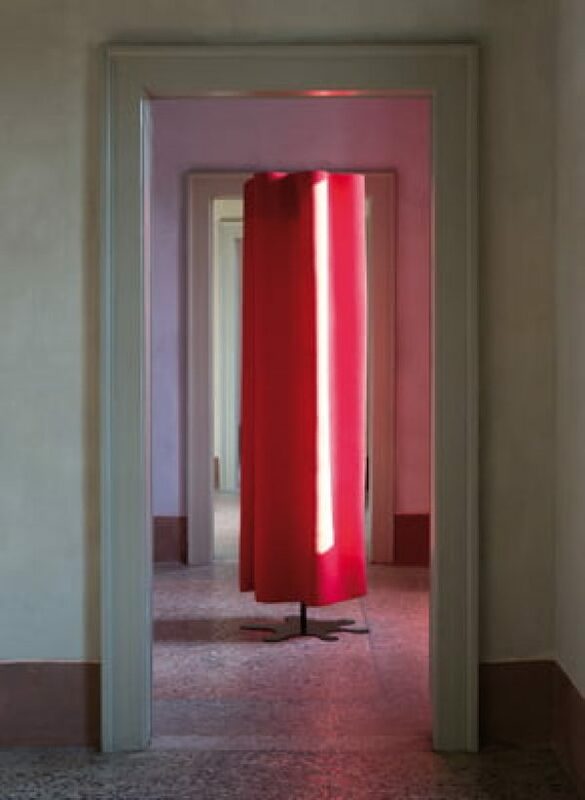 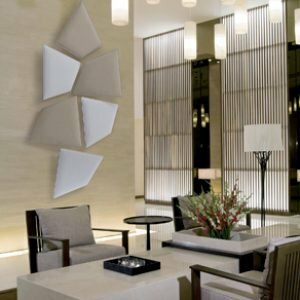 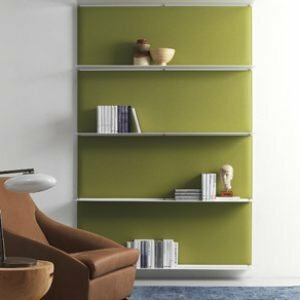 Diesis is a sound-absorbing element with steel base and drapes based on Fiber technology. 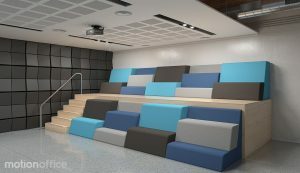 These pieces feature steel frames at the top that create the sound-absorbing drape, thus assuming precise rays and layers, designed to optimise acoustic performance. 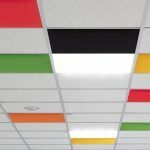 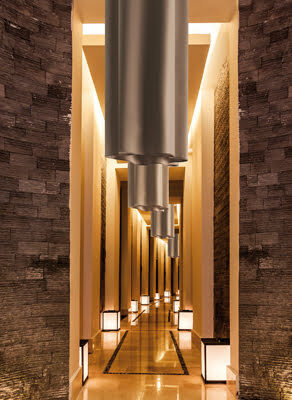 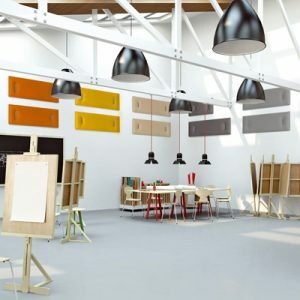 Diesis is available in both ceiling mounted or free-standing versions.